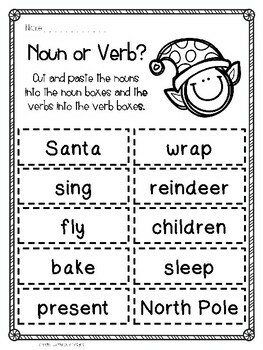 Christmas Grammar Cut and Paste - Common and proper nouns, verbs and adverbs. 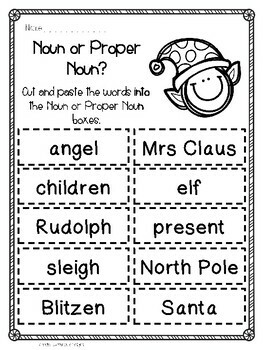 Christmas themed cut and paste activities for noun / verbs, noun / proper nouns and verbs / adverbs. 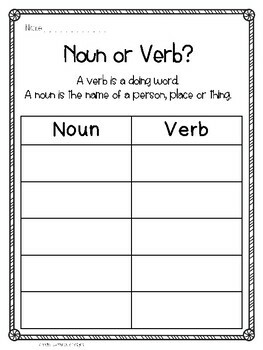 Students sort the words into their categories. Save Money on Teachers Pay Teachers! 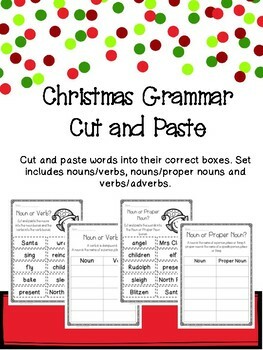 If you loved this product, please leave a rating, and earn credits towards your next TPT purchase! Go to ‘My Purchases’ to find this product and hit ‘provide feedback’. Want 50% off my new products? Yes please! Follow my store; all new products posted are on sale for the first 48 hours.